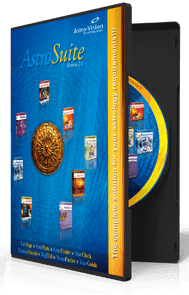 AstroPack SM 1.0 is an astrology software combo pack for professional & budding astrologers. It's a combination of horoscope calculation, panchanga-muhurtha and marriage matching softwares This software is meant to provide the essential calculations and information required for astrology consultations. AstroPack SM 1.0 lets you generate horoscopes, check Panchanga and do marriage matching. 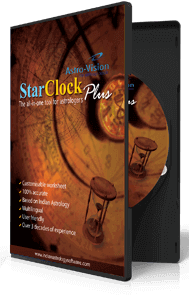 Astro-Vision software products included in this bundle maintain a high level of accuracy. 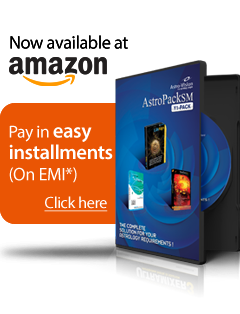 AstroPack SM 1.0 lets you generate horoscope reports. 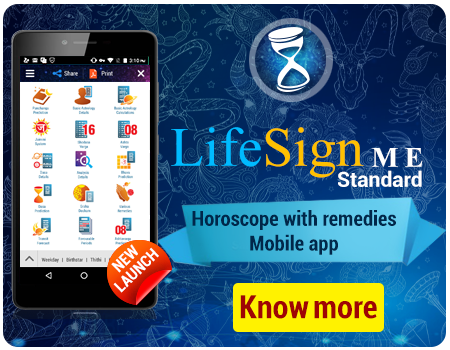 The Lifesign 12.5 Pro included in this pack provides inclusive horoscope calculations. 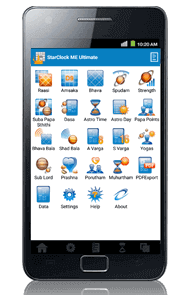 StarClock VX 2.0 included in this pack is a popular Panchanga software which can provide detailed Panchanga information for any given point in time. SoulMate 11.0 included in AstroPack SM 1.0 is the trusted horoscope matching software of marriage bureaus, matrimonial websites and Vedic astrologers around the world. Birth chart, birth star, star pada, birth rasi & Rasi lord, Lagna & Lagna lord , Thithi, Dinamana, Nakshatra Adipathi, Atma Karaka and many more. Single page, multiple pages, horoscope with charts & calculations etc. Qualities of the planets, astrological qualities of the moment, Rahu Kala, Gulika Kala, transit times & transit positions, muhurtham etc. Nakshathra compatibility check, Manglik check, Dasa Sandhi check & Papa Samya check. Values pertaining to various Ashtakavarga Charts. Lords of Houses, Bhava lord of each house, Planetary conjunction, Planet to planet aspects, Planet to house aspects, Naisargika & Tatkalika Friendship Charts, Aspect Strength Chart, Shadbala Table, Kuja Dosha Check, Moudhyam, Graha Yuddha etc. Rasi chart, Hora chart, Drekkana chart, Chathurthamsam chart, Saptamsam chart, Navamsa chart, Dasamsam chart, Dwadasamsam chart, Shodasamsam chart, Bhamsam chart, Upagraha chart, Aruda chart, Sudarshana chakra chart etc. Chitra Paksha ayanamsa / Lahiri ayanamsa, Raman ayanamsa, Krishnamurthy ayanamsa & Thirukanitham ayanamsa along with user defined ayanamsa.